Camo, round sunnies and metallic pumps for hot summer. On-the-go saturday morning outfit without wearing make-up, never really know how to dress up today. This camo printed flared skirt is made of a slight stretchy velvet material, making it a perfect color-match for my green mirror round sunnies. Such a fun, military-inspired look for a hot summer 2013. So instead of wedges or sandals, I have decided to go with this shoes 'cause for me, walking in high heels is confidence! Metallic pumps are also my new way to accessorize this plain boring white top. Lovely summery outfit, the camo skirt is so cool! Hi dear, so great to see the weather warmed up on your side, thats a lovely skirt, fab look! Very cool glasses! Loving it! WOW!!! LOve your Style so much!!! From Head to Feet!!! Thanks so much for visiting my blog and your sweet comment! I love your blog! & those Sweet John Lennon glasses you have there. I would most def like to follow you back, perhaps we can follow on blog lovin' and FB too? 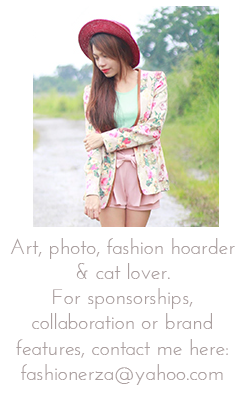 Thanks for visiting my blog, I like your blog, and I started following you on facebook, bloglovin, gfc and lookbook. I invite you to follow me on facebook, bloglovin, lookbook. you look aboslutely amazing in this fun skirt! You look stunning! I viewed your previous posts and I found your blog fantastic! I'm following you now and I hope you will come to visit me and maybe follow too! Love your blog! P.S. I love your military skirt in a previous post! Look cute, dear :) Waitfing for summer! !